WordPress is a fantastic blogging and CMS platform to use. Many of the Internet’s most famous blogs – TechCrunch, Problogger and Mashable, just to name a few, have experience with WordPress either past or present. 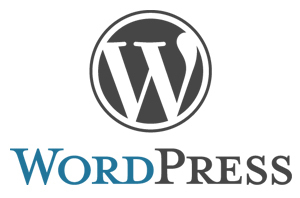 WordPress is incredibly popular when it comes to blogging and website management. However, those who don’t want to host a blog on their servers can also find it useful to host content such as individual articles and company service information. WordPress is the world’s most popular content management system (CMS) and has a number of advantages. One great advantage of using WordPress as an article CMS or for managing your company website as opposed to other content management systems is its ease of use, especially for those not so handy with coding and technology. Once up and running, WordPress makes it simple to change text and images on your websites pages. The simplicity is repeated in other areas of the CMS interface. It’s very easy to create and publish news, company information and gallery portfolios. WordPress is very flexible and easy to update. Unlike many content management systems, such as Joomla, it is incredibly simple to add a new feature to your web site in the form of a plugin. This is one of the biggest benefits of using the WordPress CMS, and stems from its open source nature. While the CMS you choose is ultimately up to you, WordPress is a fantastic choice for those looking to make their mark on the online landscape. Featuring all the customizability you could ever need as well as being jam-packed with tons of other features, WordPress has everything a budding company owner needs to make their voice heard. If you would like to get started with a professionally designed WordPress website, get in touch with us today to discuss your requirements.